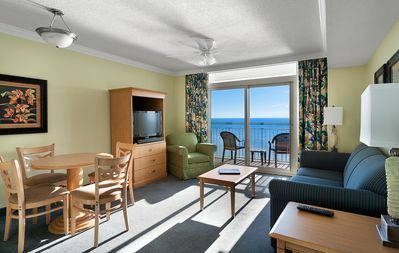 Wyndham Ocean Boulevard features modern beachside amenities and activities the whole family will enjoy. 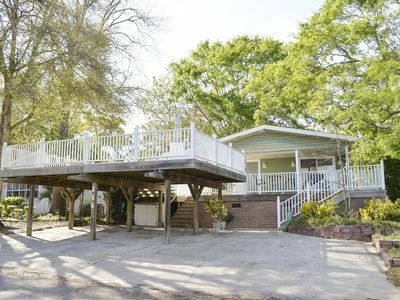 This stylish vacation destination resort is located directly on the ocean and just minutes away from the best beaches and premier golf courses South Carolina has to offer. 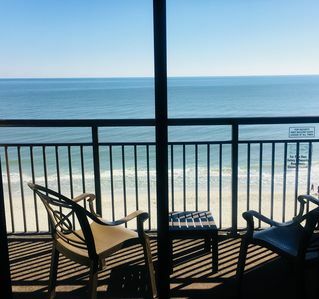 Enjoy access to a full-spectrum of beachside adventures including fishing, water sports, sunbathing, shopping, dining and pulsating live entertainment. 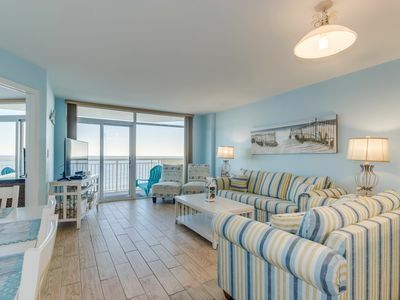 At Wyndham Ocean Boulevard, these spacious one-, two-, and three-bedroom resort suites comfortably sleep four to ten guests and range from 780 to 1,120 square feet. Suites feature one king bed in the master, one king or two full beds in the guest rooms and a queen sleeper sofa in the living area. 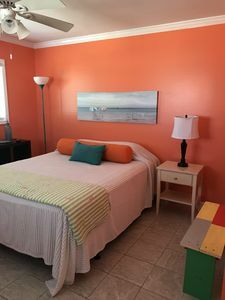 You will appreciate the privacy of separate bedrooms, the economy of a fully equipped kitchen, and the convenience of a washer/dryer in each suite. 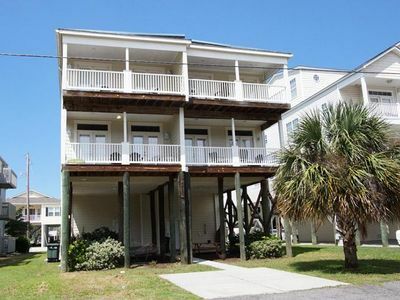 Plus, you will enjoy a whirlpool tub, full dining area, private balcony and TVs throughout. 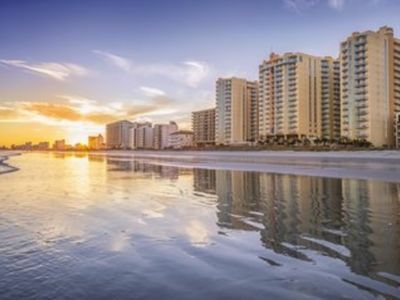 At Wyndham Ocean Boulevard, you can play the day away. 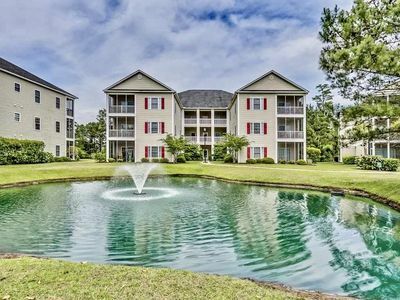 This award-winning vacation resort is surrounded by some of the best golf courses in South Carolina. 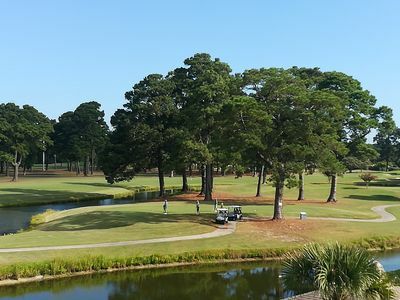 Tee off at the Myrtlewood Golf Club or World Tour Golf Links. Anglers of all skill levels can try their hand at freshwater or deep sea fishing at one of the local lakes and piers. 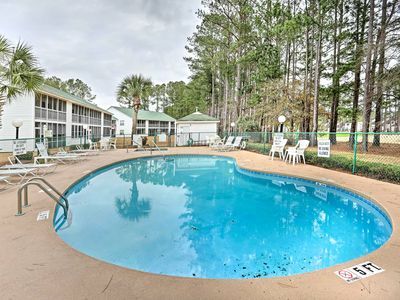 Big name attractions are just minutes away. 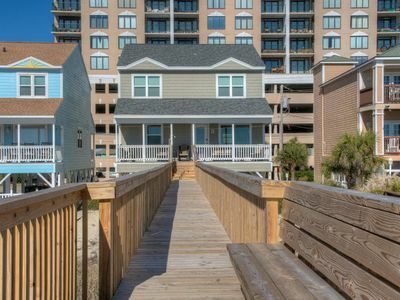 Head to the Myrtle Beach Boardwalk, consistently rated one of the best in the world, or check out all the family fun at the Children's Museum of South Carolina, Ripley's Aquarium and Broadway at the Beach. 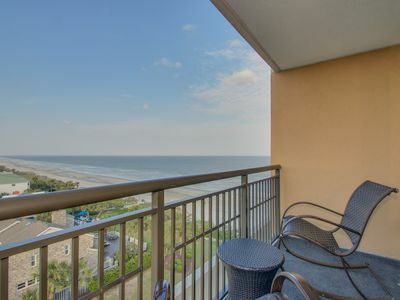 Savor that fun filled beachside family vacation at Wyndham Ocean Boulevard. There are plenty of non-beach amenities on site to keep you and your kids entertained no matter what their age or taste. Challenge your kids to a game of table tennis in the game room or keep up your workout routine in the fitness center. 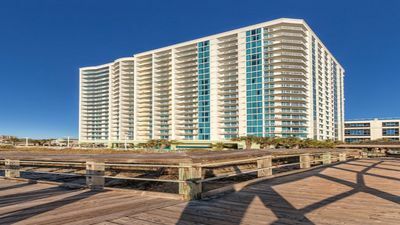 Grab a bite to eat or sip on a tropical drink at the on-site restaurant, Sea Breeze Café & Bar. For a more relaxing experience, spend the day poolside. 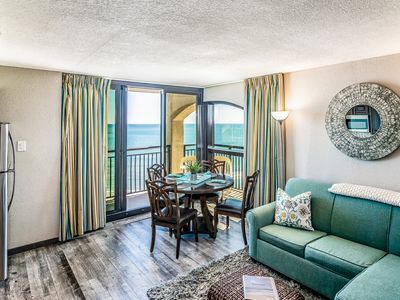 Wyndham Ocean Boulevard proudly offers two indoor and three outdoor swimming pools and eight hot tubs that will leave you refreshed and reenergized. 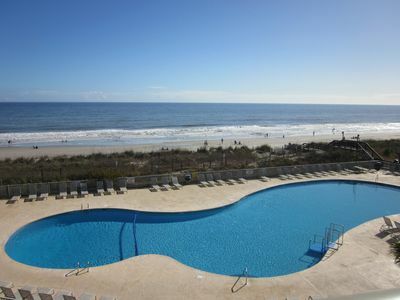 Step out onto the swimming pool deck or white sandy beaches, and catch a gorgeous sunset over the Atlantic Ocean. This resort offers Braille signage (i.e. 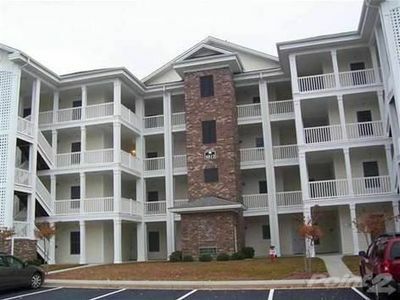 elevators, room numbers), handicap parking and first floor access ramps. 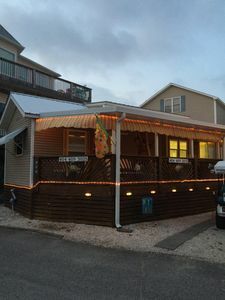 Some units include wider than typical unit interior doorways, lever handles on all doors, counter-height microwave, front control stove or range, roll-in shower, handheld shower head, grab bars in shower, grab bars in tub, grab bars around toilet, front door wide-angle wheelchair height peephole, first floor handicap accessible access and Braille signage for room numbers. Some units include visual doorbells, visual fire alarm and closed captioned TV. 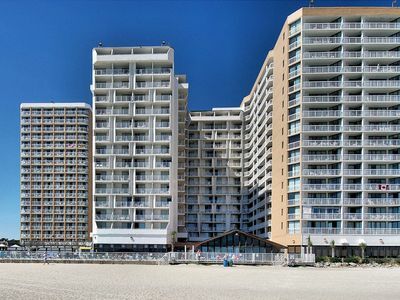 The resort will be repainting the exterior of the Tower 4 building Jan 4 - Apr. 4, 2019. During this time, some parking spaces may be blocked for staging purposes. Trailer parking lots are located nearby (fee). During Fall Bike Week there is 24 hour secured parking for motorcycles. 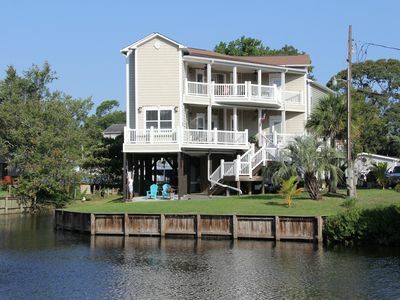 Come enjoy a stay at our piece of Paradise in Myrtle Beach, S.C.! 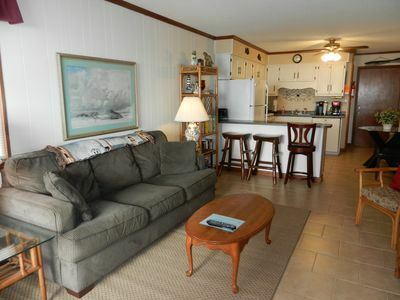 Inviting and tastefully decorated 2 bedroom 2 full bath Surfside/Myrtle Beach. Take fun to new heights at Radical Ropes Zip Line! NEW! 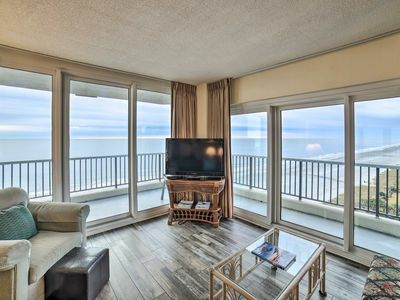 Myrtle Beach Oceanfront w/ Spectacular Views!